Fort Worth -- Bishop Kevin Vann of the Fort Worth Catholic Diocese removed a Wichita Falls priest from active ministry on Thursday because of the priest's admission of sexual abuse of a minor in the early 1970s. Vann said at a news conference that the decision was made after a review of diocese personnel files. They showed that the Rev. 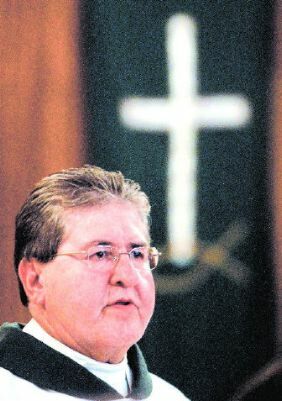 Gilbert Pansza, 55, of Our Lady of Guadalupe Parish in Wichita Falls admitted to the abuse in 1998, before his ordination in July 2000. Bishop Kevin Vann announces Thursday that he has removed the Rev. Gilbert Pansza from active ministry because of his admission of sexual abuse of a minor that occurred before Pansza attended seminary. Vann said he has reported the incident to law enforcement authorities, including Fort Worth police. The abuse occurred before Pansza entered the seminary, Vann said. The late Bishop Joseph Delaney of the Fort Worth diocese consulted with psychological experts, a former chancellor and a former vicar general before ordaining Pansza, said the Rev. Michael Olson, vicar general. "He felt that enough time had passed that it was a safe risk," Olson said. The Star-Telegram was unable to reach Pansza for comment Thursday. Diocese officials said no accusations of sexual abuse of minors had been brought against Pansza since his ordination. But Vann said the removal is "the right thing to do in protecting God's people from any potential harm." Although Pansza is still a priest, he can no longer preach or hear confessions, diocese officials said. "He'll never again function in any ministerial capacity whatsoever," Olson said. Olson said the incident occurred when Pansza was in his early 20s. He said that an individual who "had concerns" about Pansza approached Delaney in 1998. When Delaney confronted Pansza about that person's concerns, Pansza "admitted to a different act," Olson said. Vann said he has asked Olson and the Rev. 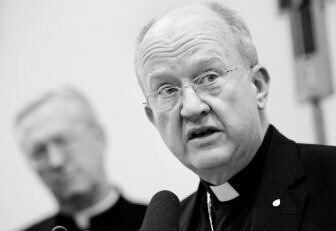 James Hart, diocese chancellor, to review all diocese priests' personnel files. Olson will visit Our Lady of Guadalupe's Masses this weekend and urge parishioners to share concerns or any information they might have about abuse. Diocese officials plan to visit other parishes in the future, among them those where Pansza served. Those include St. John the Apostle Catholic Church in North Richland Hills, St. Francis of Assisi Catholic Church in Grapevine, and churches in Fort Worth, Bridgeport, Decatur and Jacksboro. The officials will contact authorities with any information they obtain about abuse, he said. On Wednesday, two leaders of SNAP, the Survivors Network of those Abused by Priests, delivered a letter to Vann asking that he give law enforcement officials the files of priests accused of abuse. They also asked that he discipline church officials who did not disclose information about priests accused of abuse. "I believe this [Pansza's removal] demonstrated how I wish to do business and be up front," Vann said. National SNAP director David Clohessy said Thursday evening that it is vital that diocese officials visit parishes and urge people who know of abuse to call police or prosecutors. "They can sit passively and wait for the phone to ring or be true shepherds and aggressively seek out wounded sheep," he said. Secret church documents were released by state District Judge Len Wade in late November, revealing that Delaney and other church leaders misled parishioners and accusers about allegations of sexual misconduct by several priests. To contact the Catholic Diocese of Fort Worth about cases of suspected abuse by priests, church employees or church volunteers, call Judy Locke, victims assistance coordinator, or the Rev. Michael Olson, vicar general, at 817-560-3300.